Since there are more than 500 insurance companies in the United States that sell life insurance, it’s almost impossible to know which are the best life insurance companies offering the lowest prices and the best quality. Even if you spent hours and hours of researching, you would probably drive yourself crazy trying to make sense of it all. Although we work with more than 50 insurance companies, there are only a handful that are the best choice if you are shopping for a life insurance policy. As independent agents, our goal is to help you find the best life insurance company for your needs and save you money! The following is a list of our top 10 and review of each company. Our criteria is based on our experience of working with many carriers over the past 22 years. The advantage of working with multiple carriers is that we can find the best life insurance policy based on your needs. Customer Service: No one wants long wait times on hold or unknowledgeable representatives when calling for help with a policy. Insurance companies that do not provide excellent customer service did not make the list. Financial Ratings: Financial ratings from all rating services should be considered when choosing an insurance company. The financial stability of a company is very important because you want to make sure the company will be around to pay your claims. Ease of Underwriting: Many companies now offer express underwriting for policies of $500,000 or less. If you are in good health a policy can be issued in a few days and not a few months. No one wants to go through a rigorous health and financial background check to qualify for a policy. American General is part of the AIG (American International Group) network of companies and although they faced financial troubles during the 2008 financial crisis, American General has emerged as a very financially stable life insurance provider. AG is a great choice for high risk applicants with diabetes or chronic high blood pressure. Their underwriting is very liberal and policy pricing falls in line with many of the other major carriers. A unique feature of AG is that they offer and 25 year level term policy whereas many other carriers offer 20 or 30 years. This is important for people who feel 20 years is not long enough and 30 years is too long. They are on our top 10 because they offer competitive pricing, exceptional customer service with flexible underwriting. ANICO specializes in no medical exam policies up to $250,000 for term insurance and $150,000 of whole life coverage. They are a perfect choice for people looking for protection that do not want to submit to a medical exam. Highly rated and a top player in the no exam insurance company category. ANICO has great customer service and very flexible underwriting for fully underwritten policies too. Banner Life is part of the Legal and General Insurance company and is one of the lowest priced term life providers in America. In addition to low term rates they have very flexible underwriting and excellent customer service. Banner life is one of our top picks for our customers searching for affordable term insurance coverage. MetLife is one of oldest and largest life insurance companies in the world. They have more than $4 trillion dollars of insurance coverage on their books. MetLife made our list because of their innovative product line and financial strength. Their policy pricing is competitive but not the lowest. Their specialty is a diverse line of life insurance products such as term, whole life and universal life insurance. However, their customer service is extremely poor. Getting to the right department to speak with a representative takes dozens of telephone prompts and long hold times. 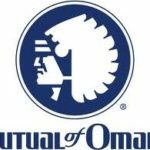 Mutual Of Omaha is a Fortune 500 company and has been in business for over 100 years. MO is a very stable financial company and offers some of the lowest term insurance rates in the industry. The company specializes in individuals over age 55 and has a very liberal underwriting program for people with health conditions such as high blood pressure and high cholesterol if controlled by medication. North American has been in existence for more than 100 years and is a privately held company owned by the Sammons group. A very financially stable company that specializes in insurance policies for people over age 50. Their term rates are not the lowest but their universal life product is very competitively priced. If you are looking for a permanent insurance policy which is reasonably priced, North American should be on the list. Principal Financial Group has been around since 1879 and is a Fortune 500 company member. While its focus has been as a financial company, it still has a very good line up of insurance products. Their life insurance is underwritten by Principal National Life Insurance Company and their rates are not the lowest but they are competitive. They have recently entered the no medical exam life insurance field and have become very aggressive in offering policies up to $1,000,000. They are highly rated and well respected in the insurance industry. You can’t go wrong getting a policy from Principal. Prudential is probably one of the best known insurance companies in the world (The Rock). Founded in 1875 it has maintained its dominance in the insurance industry with flexible underwriting and competitive rates. Pruco specializes in providing coverage to very specific segments of the industry. If you have health conditions such as Diabetes, cancer, or you smoke, take medications or travel to dangerous countries, prudential will probably offer you a policy and with a very good rate. With superior financial ratings and very aggressive underwriting, Prudential is one of the best life insurance companies in the business. TransAmerica is one of the 10 largest insurance companies in America and has been around for over 100 years. Along with tremendous financial stability, this company offers great rates on their term life and universal life policies. TransAmerica specializes in the senior (over age 65) marketplace and is a major player in the no medical exam insurance field. It offers policies up to $249,999 of life insurance without a medical exam. We love working with TransAmerica because they have very flexible underwriting and exceptional customer service. William Penn is the New York sister of Banner Life operating under the subsidiary of Legal and General. Chances are if you are looking for life insurance in New York, William Penn will be one of the lowest priced companies. William Penn is a very highly rated insurance company which offers some of the lowest term life rates for healthy New Yorkers. Their underwriting is very flexible as well for people with health conditions such as diabetes, high blood pressure or if you are slightly overweight. Our top 10 list is fluid which means this list can change from time to time based on company performance. It’s important for you to work with a company like ours, that is not beholden to only one insurance company, such as State Farm, Allstate, Farmers and so on.